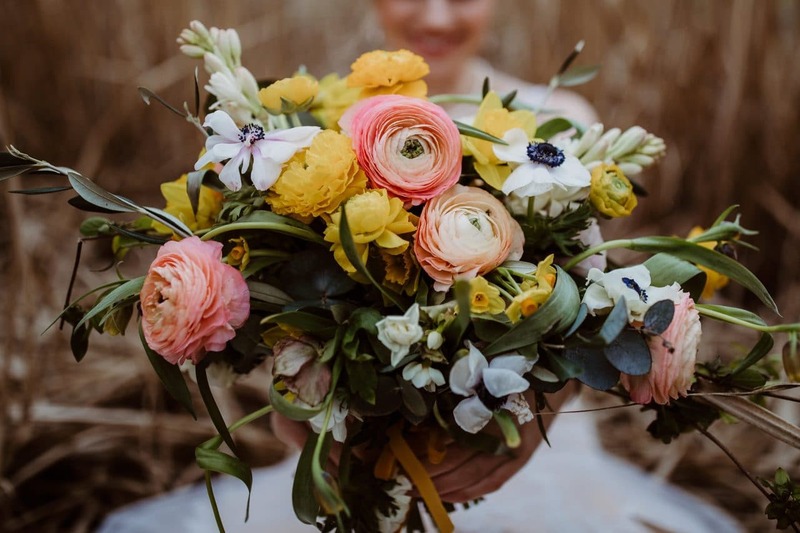 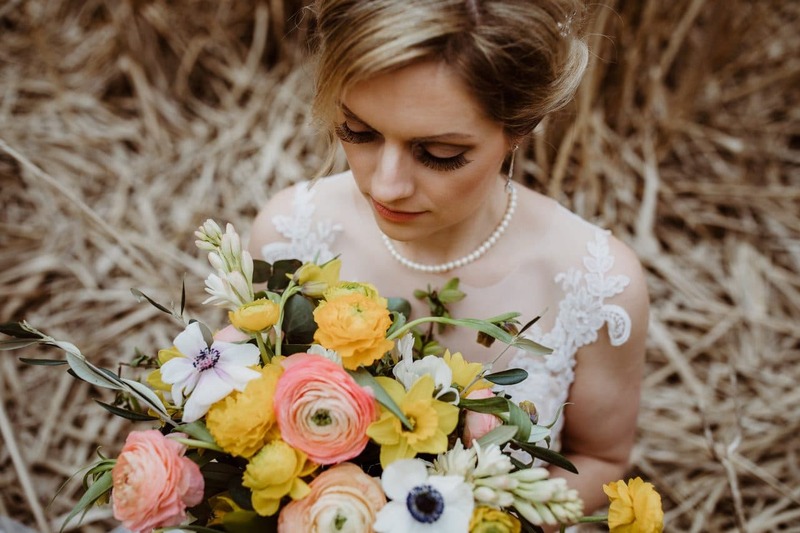 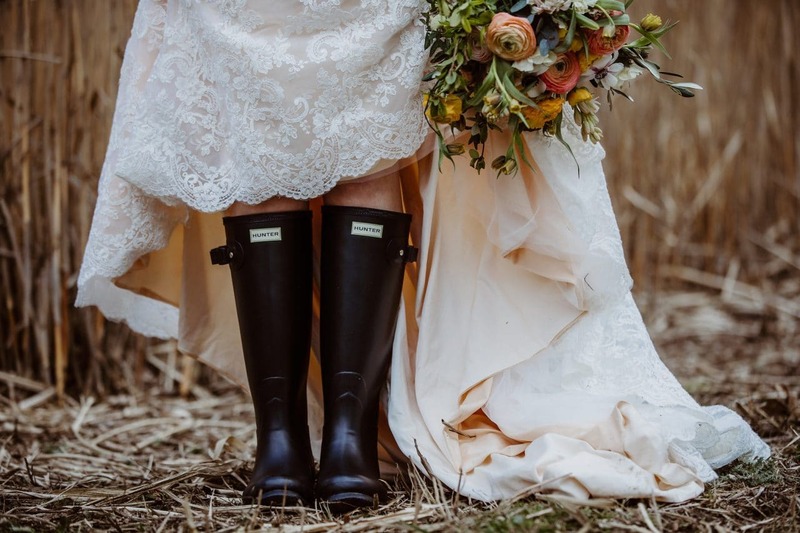 “Our shoot was inspired by the British springtime and nature with golden yellow and peach tones and a touch of black in form of wellies! 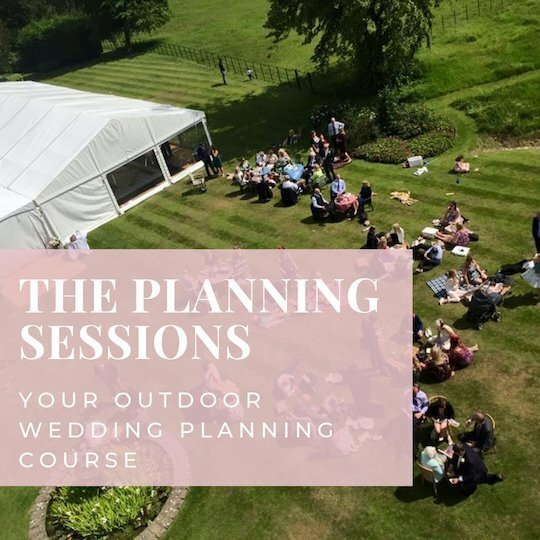 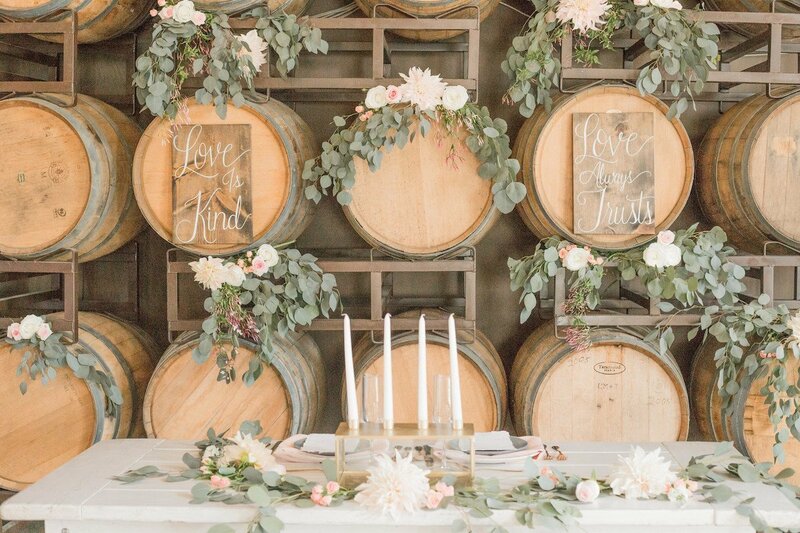 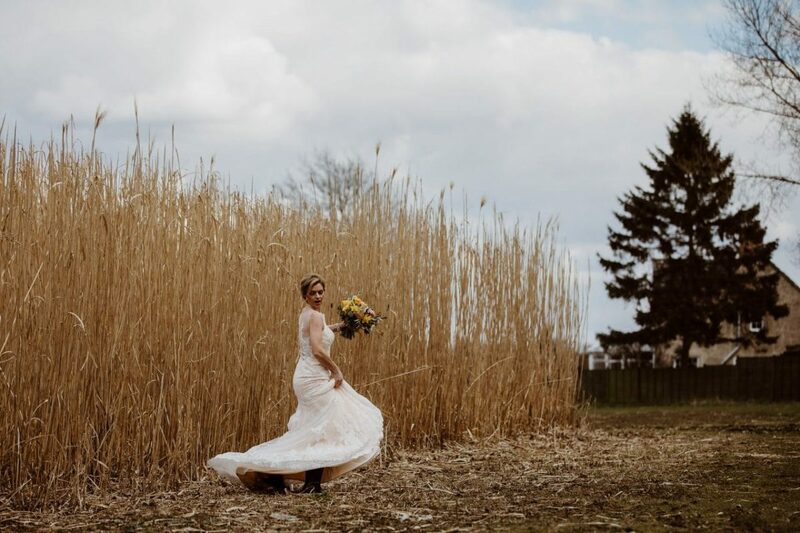 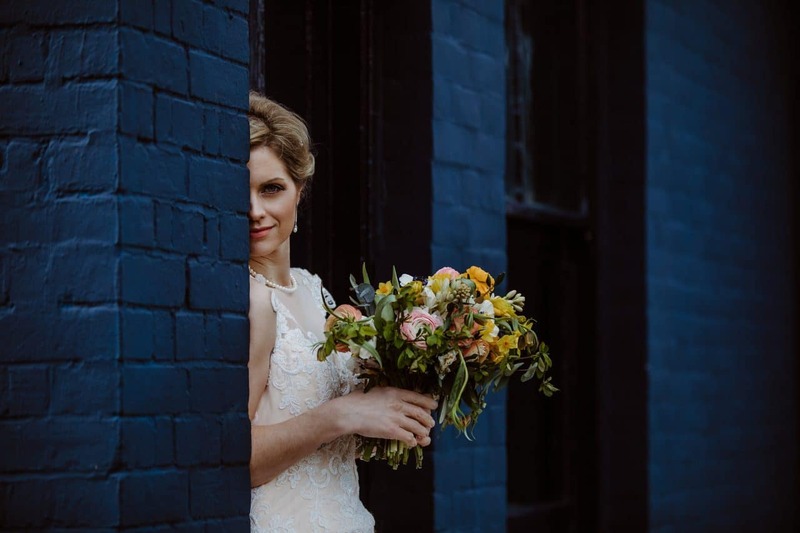 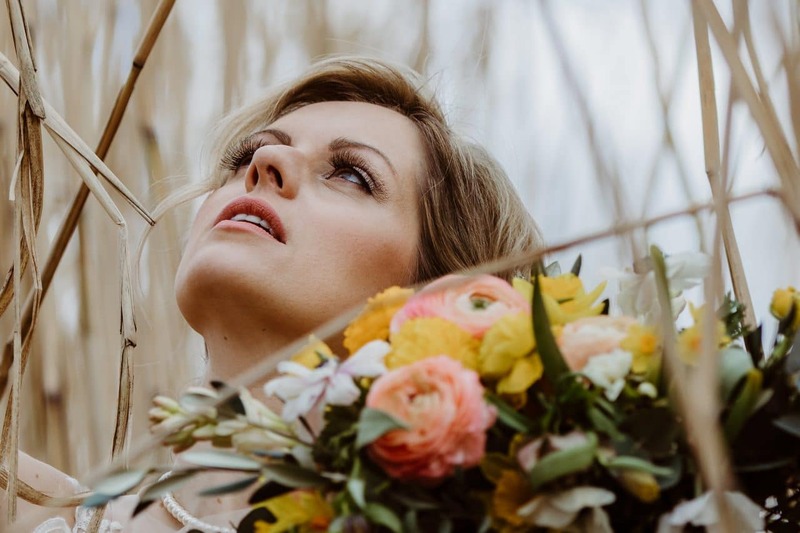 We wanted to create a natural, free spirited yet romantic feel with a slight edge so we chose two locations to give us perfect and very different backgrounds – a remote field of tall dry grass and an amazing dark blue building with copper rails. 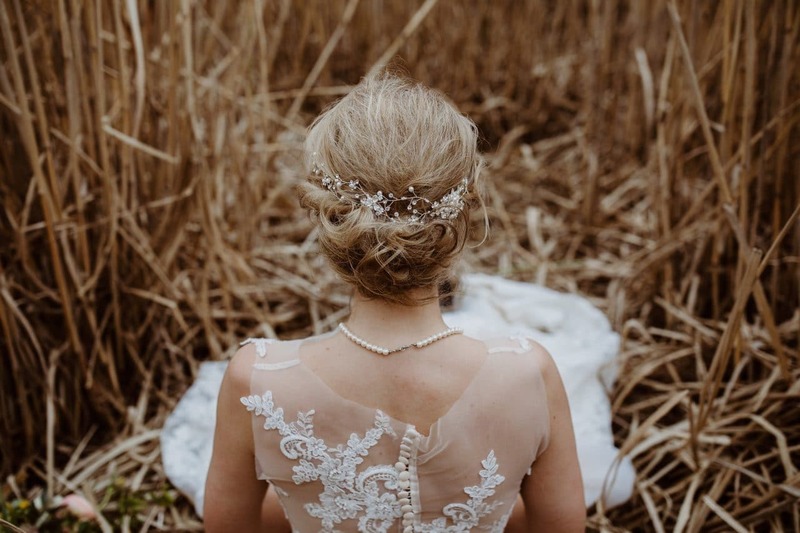 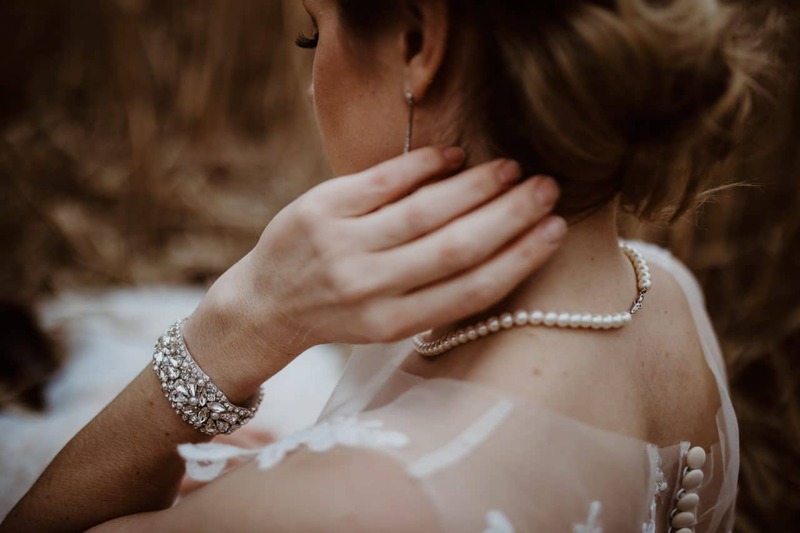 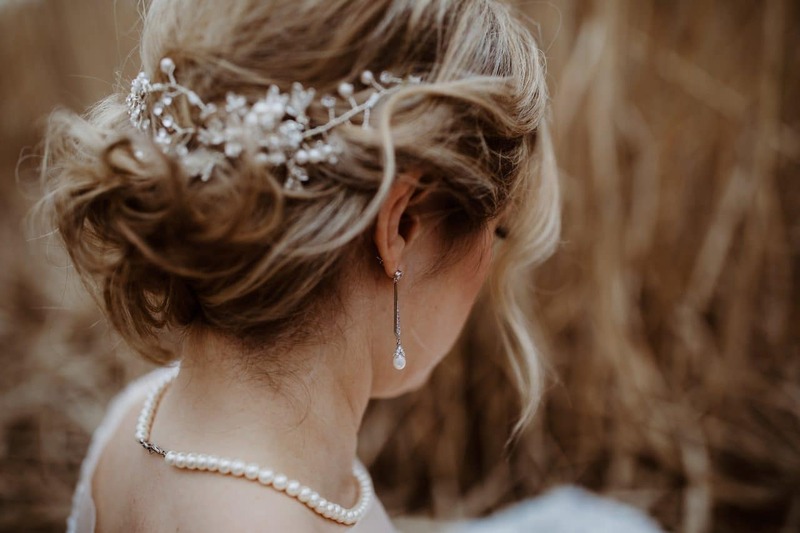 The bride’s fully handmade dress had a beautiful ivory shade and stunning lace details complemented by the also handmade, nature inspired lace flower cuff adorned with delicate twists of shimmering ivory crystals, and the hair styled in a soft, loose, romantic updo with twinkly crystals in the hair vine. 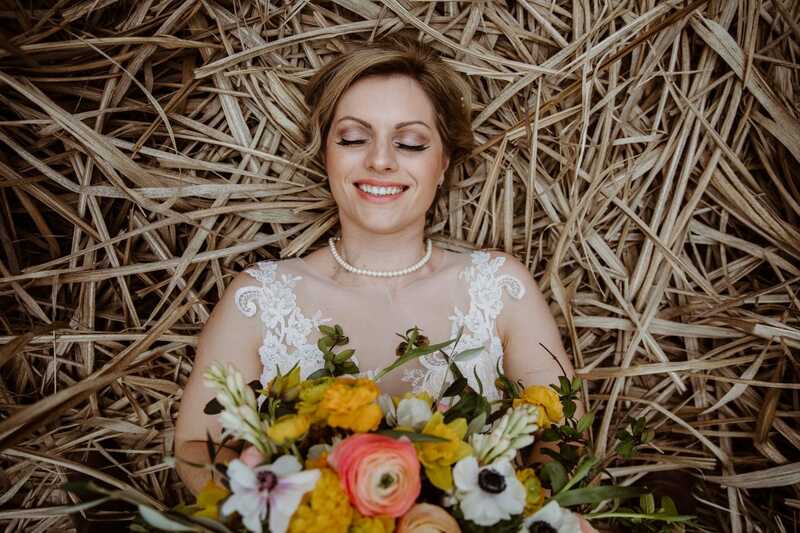 The make up echoed all this, creating a glowing complexion with long lashes and peachy tones. 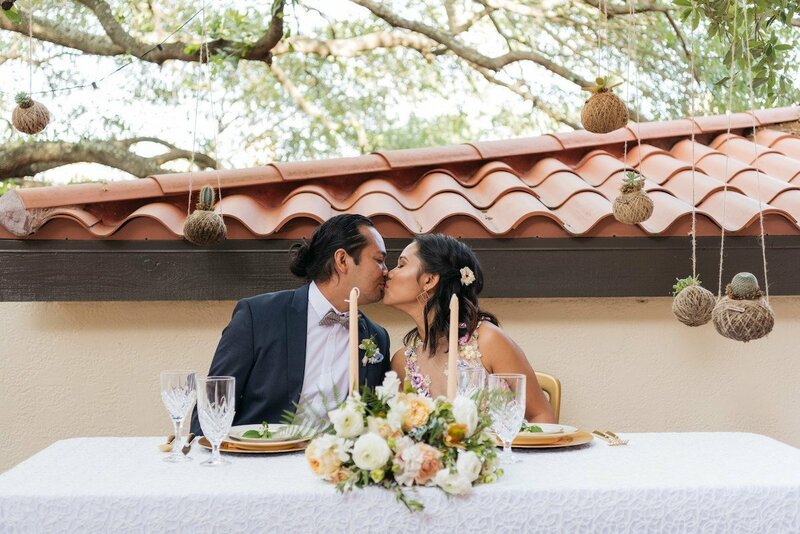 Thanks so much for sharing this with us Noemi. 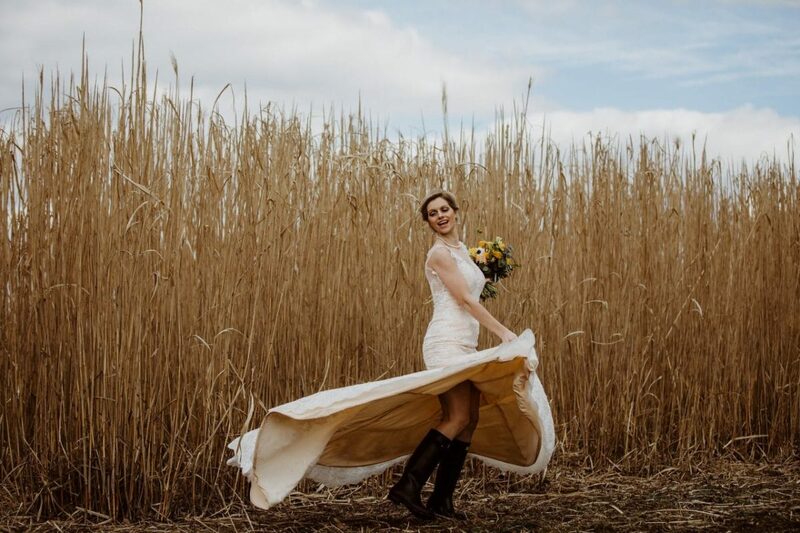 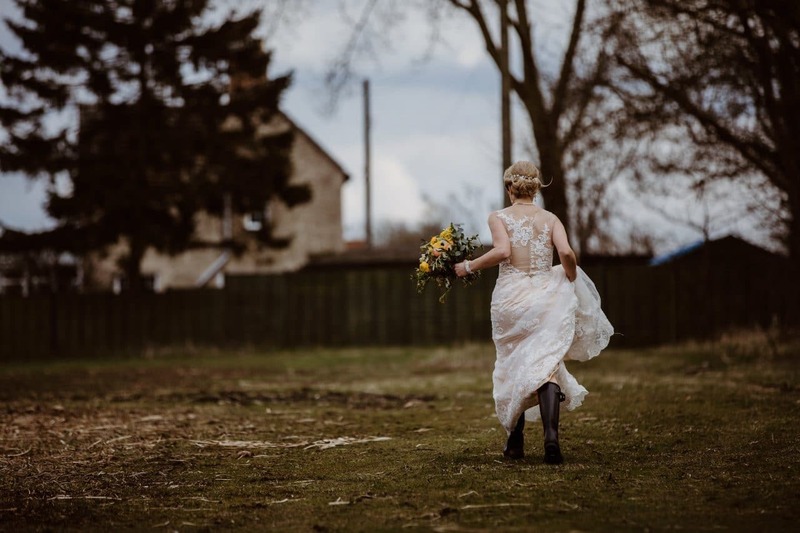 We love how the boots bring a rustic fun charm to such an elegant bride! 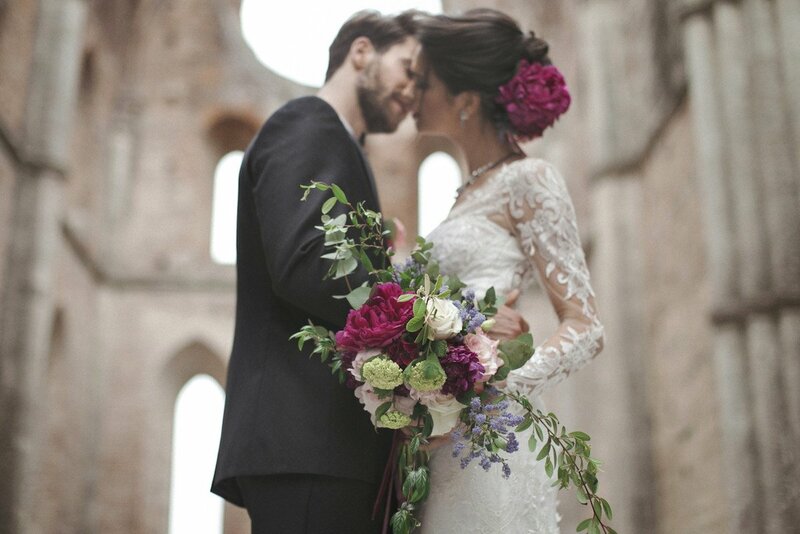 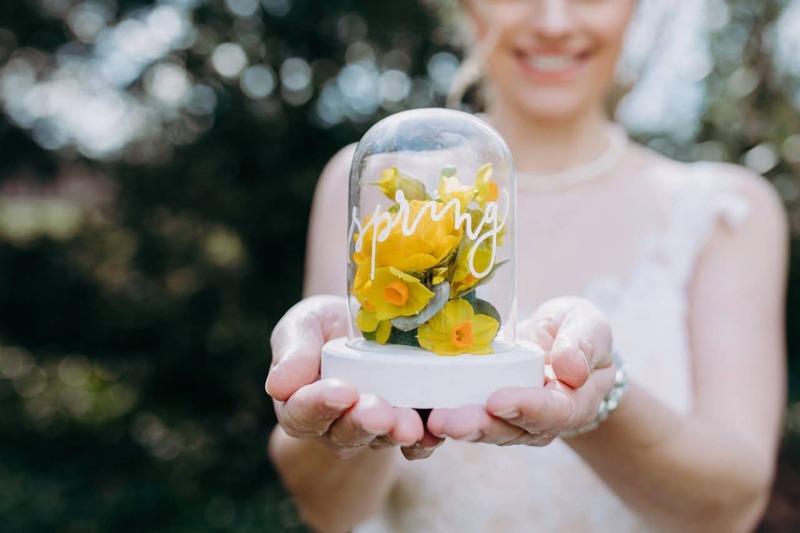 If you would like to submit a real wedding or styled shoot, please do have a look at the Submissions page.